Finals stressing you out? Come try some tasty Bosnian desserts! 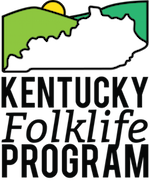 The Kentucky Folklife Program and Department of Folk Studies and Anthropology, in conjunction with WKU’s International Year of Bosnia and Herzegovina, will present a Bosnian dessert demonstration tomorrow, Wednesday, April 25th from 5:00 – 6:00 pm at WKU’s Confucius Institute Kitchen. Join us as siblings Adina, Sabina, and Senida Husić demonstrate three different desserts, including oblatne, tufahije, and hurmasice. No RSVP needed for this free, family-friendly event. This program is organized as part of the programming for our exhibit A Culture Carried: Bosnians in Bowling Green at the Kentucky Museum and made possible with support from the National Endowment of the Arts. For more info, you can visit our Facebook event page. Hope to see you there!